Poland’s post-war transformation has been nothing short of remarkable. From the devastation of the Second World War, followed by over four decades of Communist rule, Poland has emerged as a fully functioning market economy. Its political stability and economic prosperity is well illustrated in that it was the only EU country to escape recession during 2009. It is precisely because Poland has achieved so much in the face of adversity that Atradius has made it the subject of the latest in our series of reports on the opportunities for profitable trade offered by emerging markets. ‘Trade successfully with Poland’ highlights many of the factors that make this burgeoning market such a compelling destination for foreign goods, services and investments, while at the same time providing advice on the issues that must be addressed to ensure the success of commercial ventures in Poland. On the plus side, Poland is ideally located – at the very heart of Europe – to ease the way for international trade. Poland’s location, effectively a bridge between east and west, north and south, while a curse in earlier war torn times, is now a real opportunity for foreign businesses. And having a presence in Poland is a wise move strategically. That is evident from the growing number of new limited liability companies being established in this central European hub: in recent times increasing by 20% a year and now totalling some 300,000. Poland is proving the most successful of the recent intake to the European Union, and the confidence that the EU clearly has in its future prospects is evident in the extent of the Union’s funding: Poland is already the major beneficiary of funding under the EU’s European Cohesion Policy (€68 billion so far) and, between now and 2020 is destined to receive another €73 billion which will fund its many infrastructure and modernisation projects – the road and rail network, airports, rural modernisation, internet services and scientific research and energy sourcing. And that is in addition to considerable funding under the Common Agricultural Policy. This opens doors for foreign companies to provide the expertise, products and services needed to make good use of that funding. The Polish construction industry, for instance, is very open to bids from overseas contractors. However, while many foreign companies do bid for Poland’s infrastructure projects, care needs to be taken not to be so competitive on price that no cushion is left against the very real possibility of rising material or labour costs. As some have found to their cost, the rule is not to overpromise because, especially with government-run projects, the successful bidder will be held to the terms of their original bid. Other foreign suppliers that can benefit from Poland’s EU funding are those involved in energy sourcing – covering the whole gamut from nuclear power to shale gas exploration and wind farms – as well as in industries such as airport equipment and services, and information/communication technology. As Poland grows in affluence, the potential for foreign retailers becomes ever more compelling. Poland has a population of 38 million and a growing middle class eager for foreign goods. But it still needs to be remembered that the average net disposable household income in Poland is around €11,500, compared to averages nearer to €21,000 across Western Europe, although, as everywhere, this masks considerable disparity of net disposable income across the population: over €22,000 for the top 20% of Polish households and €4,610 for the bottom 20%. Foreign suppliers need to bear those figures on mind when setting their pricing strategy. Demand for foreign goods is led by electronics and white goods, used cars and textiles. With Poland’s new middle class fast developing a taste for foreign high-end products and the economy continuing to flourish, the market for luxury goods too will grow. Poland may still be classed as an ‘emerging’ market, but don’t let that fool you into thinking that it lags behind its more established neighbours in the use of online shopping. And, like everywhere else, consumers are turning to online shopping as a way to save time and money. As a result, e-commerce in Poland is growing faster – admittedly from a low starting point – than in any other EU countries. According to a study by the Boston Consulting Group, 75% of Polish households are expected to have internet access by 2015. Foreign companies are already seizing the opportunity: household equipment, electronics, books, computer games and cosmetics are widely bought online. Foreign supermarket chains are getting in on the act too, with Polish consumers now able to buy their foodstuffs online and collect them from drive-in locations. But foreign suppliers need to make sure that they have the background knowledge to make their venture into Poland a success: taking into account the business culture, legal requirements and customs regulations, and, as already stressed, making sure that their products are correctly priced for this market. A fine balance also has to be achieved between security of payment and competitiveness. Credit insurance – protection against the possibility of not getting paid for goods and services sold on credit terms – can play an important role in more ways than one. It ensures that the seller’s cash flow is protected in the event of non-payment. That in itself will give the seller the reassurance to be able to offer more open and competitive terms of payment. It is vital to check and monitor the credit worthiness of any potential customer and in a market like Poland, where a business’s financial information can be difficult to obtain, using the services of a credit insurer is the surest way to gain insight into a buyer’s financial strength. 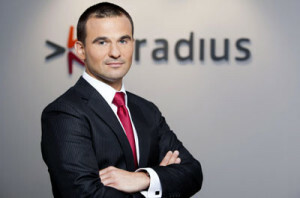 Pawel Szczepankowski is Managing Director of Atradius in Poland. He began his career in credit and bond insurance 15 years ago, firstly in reinsurance at Polish Re and then underwriting surety bonding at Allianz. Since 2002, he has focused on direct credit insurance: initially as a sales manager, then regional manager and now heading up Atradius’ operations in Poland. He holds Masters degrees in Finance & Banking (Warsaw School of Economics) and Law (Kozminski University) and is a member of the Credit Insurance Sub-Committee at the Polish Insurance Association.